“No Excuses” sheds light on the pattern of unsafe conditions and lack of treatment in Washington’s Residential Habilitation Centers (RHCs), as identified in the State’s own surveys. While most of this information is publicly available, it is apparent that the ongoing problems are not widely known nor discussed. This report synthesizes a single year’s worth of information to call attention to the serious harm that continues to occur. These systemic failures endanger people with developmental disabilities in all of the RHCs and cannot continue, as there are no excuses for these failures. The Centers for Disease Control and Prevention recently established a resource that streamlines information from approximately 65 CDC fellowship and internship opportunities from multiple centers across the agency into a single website. Prospective fellows and interns can now access a single site to search opportunities by length, education/degree requirements, and topic areas. The site also includes a Minority Health Snapshot– opportunities to encourage interest in public health among underrepresented individuals as well as opportunities for those that have an interest in promoting health equity and eliminating health disparities. Learn more about alternatives to litigation, such as ADR, meditation and negotiation. Join for a panel discussion with local attorneys. Read the flyer here. The ABA Center for Innovation is pleased to announce that applications are now being accepted for our inaugural 2017 Fellows Program. NextGen Fellows are recent law school graduates who will spend one year in-residence at the ABA Headquarters in Chicago, IL. These fellows will receive a stipend of $45,000, plus benefits, during their time in the program. There are two (2) NextGen fellowships available with an August 2017 start date. Innovation Fellows will rotate in and out of the Chicago office on a 9-12 week basis, beginning in April 2017. There is no stipend for this fellowship, but sponsorships might be available. Detailed information about the programs, requirements, and application guidelines can be found here. Disability Rights Washington (DRW) is a private non-profit organization that works on disability-rights issues across the state of Washington. Our mission is to advance the dignity, equality, and self-determination of people with disabilities. 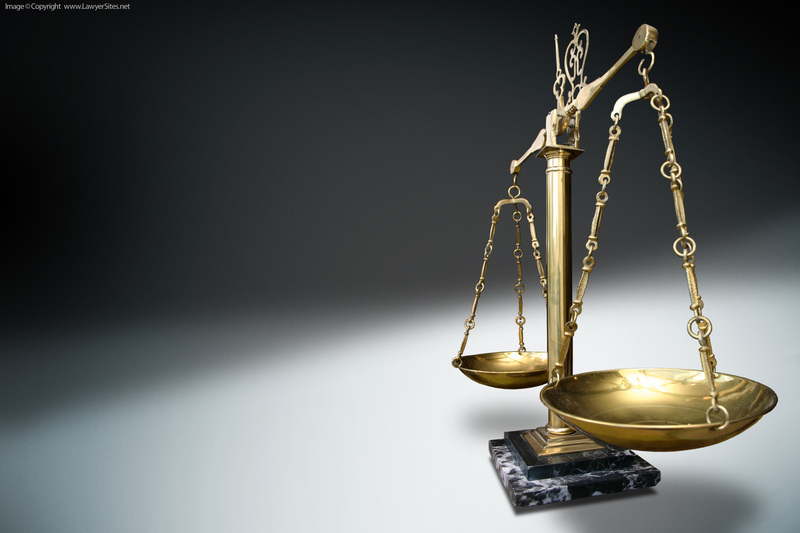 We pursue justice on matters related to human and legal rights. Volunteers who serve on our Board and councils are critical to our work. We are reaching out to encourage people with disabilities, people of color, and people from every corner of Washington to serve on our Board of Directors, our Mental Health Advisory Council, and our Disabilities Advisory Council. Thank you for applying, and thank you for sharing this message with your network. Read more here and apply to be a volunteer here. Rolling Deadline: Earthjustice Seeks Entry-Level Associate Attorney in Seattle- 2016 Grads Welcome to Apply! The Northwest Office of Earthjustice is seeking applicants for an Associate Attorney to begin work in the fall of 2016 or sooner. 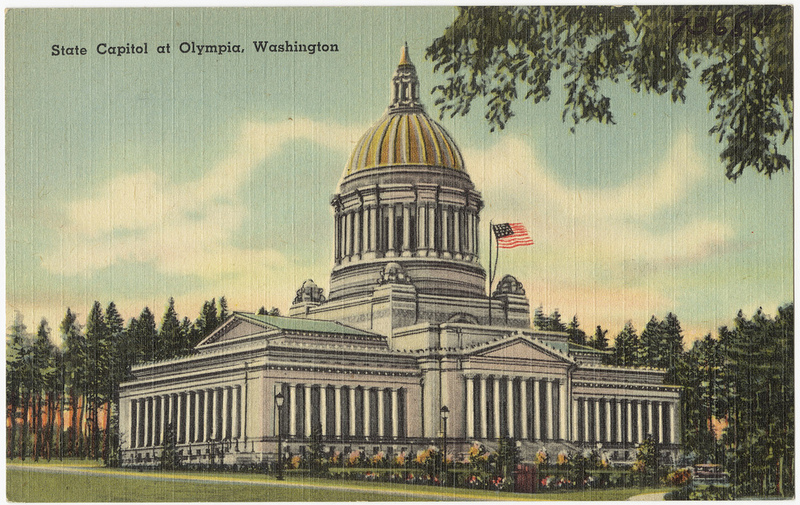 The Northwest Office opened in 1987 to enable Earthjustice to take a more active role in preserving the unique natural resources and environment of the Pacific Northwest. Since that time, the Northwest office has undertaken campaigns to protect old growth forests, promote salmon recovery, improve water quality, protect Puget Sound and the communities that depend on it, stop coal-fired power plants, protect farmworkers and their families from pesticides, and respond to climate change, among other things. Although the primary focus of the Northwest office is representing environmental and citizens’ groups in Washington, Oregon, and Idaho, we often take cases with national and international scope. For example, the Northwest office is involved in cases seeking to stop coal exports to Asia and transport of crude oil to ports along the entire west coast as part of its effort to reduce reliance on dirty fossil fuels. We also have led nationwide litigation to protect 58.5 million acres of undeveloped, roadless areas on our National Forests. We frequently work in close partnership with Native American Tribes and fence-line communities. Act fast! Applications accepted on rolling basis. For complete application instructions please click here. Women Enabled International (WEI) is now accepting applications for a consulting Legal Advisor—Standards and Implementation Tool. The position is for a 12-month part-time (20 hours per week) consulting contract, and is available immediately. Research and analysis of international human rights laws, policies and guidance, specifically emphasizing parameters for service provision in the areas of sexual and reproductive health and gender-based violence for youth and women with disabilities. Review of and incorporation of the findings from the forthcoming UNFPA Global Study on Youth and Disability. Global consultation with key stakeholders and experts on women and youth with disabilities and sexual and reproductive health and gender-based violence, through both online consultations and a global convening. Supervise Project Coordinator and legal interns. At least two years of international human rights legal experience, including experience working with U.N. human rights mechanisms. Experience with women’s rights and/or disability rights, especially in the areas of sexual and reproductive health and gender-based violence strongly preferred. Demonstrated experience in developing toolkits, manuals, or similar publications using key stakeholder and expert participatory consultation processes. Outstanding legal writing and research skills. Capable of complex legal and policy analysis. Demonstrated commitment to women’s rights and/or disability rights. Fluency in English is required. Familiarity with other U.N. languages, especially Spanish, is a plus. Must have authorization to work in the U.S.
WEI is located in Washington, D.C. Applicants based in New York City may also be considered. 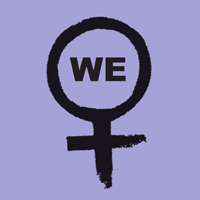 WEI works at the intersection of women’s rights and disability rights and advocates and educates for the rights of all women and girls and all persons with disabilities, with a focus on women and girls with disabilities, in collaboration with women’s rights organizations and women with disabilities rights organizations worldwide. Through such collaborations, WEI fosters cross-movement cooperation to bolster understanding, cross-cutting and intersectional advocacy, and the advancement of the rights of all women and girls. Areas of focus include gender-based and sexual violence, sexual and reproductive health and rights, access to justice, conflict and post-conflict situations, and caregivers and caregiving, among other issues. $25,000 for the duration of the consulting contract (12 months, based on a 20-hour work week). Applications should be sent to Personnel@WomenEnabled.org, and must include a cover letter; resume; brief, unedited writing sample; and contact information for three references. Applications will be reviewed on a rolling basis and should be received as soon as possible but no later than by June 20, 2016. Please include ‘Legal Advisor—Standards and Implementation Tool’ in the email subject line. Internship positions at Human Rights Now (HRN) are unpaid but do not require any previous experience working for a human rights organization. Those who have strong legal backgrounds or competences which would meet our standard are highly encouraged to apply. Please see below for more information. Tasks will include but are not strictly limited to: Attending meetings at the Human Rights Council and other relevant organizations; preparing talking points, reporting to the Tokyo office, contributing to lobbying efforts, drafting statements and assisting in their distribution. Other tasks include translation, research, data collection, responding to the media, and network building with other NGOs. This is an unpaid internship and there will be no funds available to cover intern’s expenses including transportation fees. Must be available to work at least 2 days per week from 10am to 5pm (If available for more than 18 hours per week, please let us know). Must be available to work for a minimum period of 6 months. *We also accept interns for less than 6 months as long as they are strongly committed to the required tasks. Especially we are looking for interns who can attend Human Rights Council sessions, monitor them, report to the Tokyo office, and provide oral interventions. *Please note that unfortunately HRN cannot assist interns in obtaining visas. Basic understanding of law, international human rights law, and the UN system. Ability to discuss relevant topics using technical and specialist terms in English. To apply for any of these positions, please send us 1) a recent copy of your resume, 2) a cover letter, 3) a writing sample (the topic of the sample can be decided by the applicant). The above documents should be attached to and sent as documents via email to info@hrn.or.jp. After initial screening, selected applicants will be contacted and interviewed via Skype. Job Description: The NAACP Legal Defense and Educational Fund, Inc. (LDF)* is the nation’s first and foremost civil and human rights law organization. Since its founding under the leadership of Thurgood Marshall in 1940, LDF has been committed to transforming this nation’s promise of racial equity and justice into reality for all Americans. LDF uses litigation, public-policy advocacy, organizing and public-education programs to ensure the fundamental and basic human rights of all people to quality education, economic opportunity, the right to vote and fully participate in democracy, and the right to a fair criminal justice system. LDF is currently accepting applications from law students for semester-long internships for the fall and spring semesters in the New York and Washington DC Offices. Interns will be responsible for legal research, memorandum writing, factual investigation, development of educational and outreach materials, discovery review, and a host of other needs that arise in LDF’s litigation and advocacy efforts in the areas of Education, Political Participation, Economic Justice and Criminal Justice. Internships are unpaid and limited in number. Students may seek outside funding and/or course credit. Although LDF prefers to hire second or third-year law students, we will consider exceptional first-year law students. Application Instructions: Intern applicants should send a cover letter, résumé, 5-10 pages writing sample, and a list of three references to either address below. LDF will fill legal intern positions on a rolling basis. As part of LDF’s long-standing commitment to training the next generation of civil rights attorneys, we rely on assistance from law students through our internship program to support our litigation and advocacy efforts. If you plan to pursue a career in racial justice and civil rights law, we want to hear from you. The fellowship includes a $25k expense allowance to support multiple placements totaling one year, typically in 3-4 month blocks. Each fellow is required to repay the amount of the $25k allowance used through individual fundraising efforts, regenerating the funds to ensure support for th next fellow. This “pay forward” approach instills the values of sustainability and non-profit entrepreneurship. This first three months take place at the Boston office of the Insight Collaborative, where fellows advance their understanding of the theory and practice of effective negotiation, communication and mediation. The remaining nine months of the fellowship are divided into foreign placements proposed by the fellow. Interested in Expanding Your Knowledge of Family Law? Apply to Intern with ELAP Winter Quarter! The Volunteer Legal Services Program in Pierce County is a program of the Tacoma-­‐Pierce County Bar Association funded by local contributors to the Tacoma-­‐Pierce County Bar Foundation, a 501(c)(3) charitable organization founded to support the Bar’s volunteer attorney program, and IOLTA/LawFund as a grantee of the Legal Foundation of Washington. The mission of the Volunteer Legal Services Program is to facilitate access to volunteer attorney advice and representation, as well as self-­‐help materials and general legal information, for low-­‐income individuals who have civil legal needs in Pierce County, Washington. Northwest Health Law Advocates (NoHLA) is a Seattle-based non-profit organization that works to achieve accessible and affordable health care for all through policy and legal advocacy, public education and support to community-based organizations. Founded in 1999, NoHLA is a leader of consumer advocacy on health care issues Washington State. We are seeking a full-time Health Justice Advocate to work on issues related to consumer involvement in Washington’s innovative and changing landscape of health care delivery systems, with the goal of securing access to quality health care for all, regardless of income, ability, language or national origin. The ideal candidate will have knowledge of health laws and experience as a health advocate; strong communication, research and writing skills; and the ability to work individually and in teams or coalitions. There will be opportunities to collaborate with advocates on a national level. LASO is a non-profit organization that provides free legal assistance to low income clients in civil cases. The Portland Regional Office of Legal Aid Services of Oregon (LASO-PRO) is seeking a part-time staff attorney with 3-10 years of experience to assist in the coordination of pro bono projects for the office. The position is grant funded at a .6 FTE (21 hours per week) for two years, and will be a .5 FTE (17.5 hours per week) permanent position thereafter. The attorney in this position is responsible for creating and maintaining excellent relationships with the private bar and helping to operate the Volunteer Lawyers Project. The staff attorney/pro bono coordinator will be responsible for conducting client intake, recruiting and mentoring pro bono attorneys, coordinating the daily operation of the office’s pro bono projects and some contract management. The functions of this position will include advising clients on legal matters but will not generally include representing clients. The Natural Resources Division of the Washington State Attorney General’s Office seeks an experienced attorney with an interest in natural resource management, environmental, contract, and real property law. This is a project position only funded through June 2017. The position represents the Department of Natural Resources (DNR) Aquatic Resources Division, the manager of more than 2.6 million acres of state-owned aquatic lands. This area of practice will involve understanding and applying the state’s Aquatic Lands statutes in RCW Title 79; the State Environmental Policy Act; general principles of property law, including landlord-tenant law; federal law pertaining to watercourse boundaries, navigation, and commerce; environmental law; and the common law pertaining to the Public Trust Doctrine. The position involves client advice and diverse litigation in state and federal courts and administrative forums. The U.S. Patent and Trademark Office is seeking applications for the unpaid Patent Experience Externship Program (PEEP). Opportunities are available in all of the USPTO Offices: Alexandria, VA; San Jose, CA; Denver, CO; Detroit, MI; and Dallas, TX. The program is intended to give students an opportunity to experience what it’s like to work at PTO, as well as interact with experts in several disciplines, explore opportunities and develop or enhance personal and professional skills. This is an 8-week program with two sessions. The first session will begin on May 31, 2016 and will end on July 29, 2016. The second session will begin on June 13, 2016 and will end on August 12, 2016. The Center for Reproductive Rights (the Center) is a nonprofit legal advocacy organization dedicated to advancing reproductive freedom as a fundamental right that all governments are legally obligated to respect, protect, and fulfill. The internship is full-time, from June 2016 through August 2016. Interns are encouraged to seek outside funding for their internship. This internship is eligible for a small stipend if outside funding cannot be obtained. The Assistant Director conducts research, provides strategic analysis, and develops policy recommendations and position papers for the City Council and City Manager related to intergovernmental and regional and state legislative issues. Coordinates with the Intergovernmental Relations Director to ensure alignment with the city’s overall intergovernmental strategic plan. Represents the City at assigned regional forums; provides support to regional committees; and acts as staff support for City Council members appointed to intergovernmental committees. Supports the Intergovernmental Director by overseeing the city’s internal cross-departmental regional issues cabinet: facilitates the identification of emerging issues, coordinates the monitoring of legislative proposals; develops and manages grants team; and ensures all representation on intergovernmental issues is aligned with the City’s overall strategic plan, vision, priorities and adopted policies. The National Lawyers Guild Bay Area Chapter (NLGSF) seeks an enthusiastic and administratively competent intern for the spring semester. The individual will gain access to the Bay Area progressive legal community and knowledge of challenges and attacks on human rights throughout the country. Includes working on issues such as demonstrations law (defending protesters), human rights, immigrant rights, anti-racism and queer/transgender rights. Also involves engaging with members of the NLGSF at events in various parts of the Bay Area. The internship is a semester long, during which time the intern will assist office staff with general administrative duties and be assigned individual projects to complete during the semester. The Eastside Legal Assistance Program (“ELAP”) is looking for a law student to intern in our Domestic Violence Legal Program (“DVLP”) for the Winter Quarter 2016. ELAP is a non-profit organization that provides no-cost civil legal services to survivors of domestic violence, including related family law issues (such as custody, parenting plans, spousal support, etc. ), throughout King County, Washington, and to low-income residents of East and Northeast King County. The intern will work with staff attorneys in the representation of clients, including providing assistance to draft pleadings and to interview clients, as well as to research points of law. By the conclusion of the internship, it is expected that the intern will craft a legal memorandum that can be used as a writing sample. This position will provide experience in practical legal skills such as client interviewing, legal issue spotting, case development, and working with low-income clients. In addition, the intern will learn substantive and procedural aspects to family law practice, with an emphasis on representing domestic violence survivors. This position is unpaid but can be sponsored for academic credit if available through the student’s school. The Department of Finance and Administrative Services (FAS) is recruiting for the City’s Americans with Disabilities Act (ADA) Title II Coordinator. This position will develop and manage a new Citywide program to proactively ensure the City’s programs and services are compliant with Title II of the Americans with Disabilities Act and other applicable state and local disability rights laws. This new program will lead the City in policy-setting, coordination, and training for ADA compliance. This work will include establishing a governance structure to ensure the successful implementation and ongoing operation of the program. This position will serve as the point of contact for the public and other external constituents, as well as City departments, in fielding customer inquiries and requests, and coordinating with the Seattle Office for Civil Rights to address and mitigate any formal complaints. This position will also work closely with the Mayor, City Council and City Budget Office as they decide how best to allocate resources in support of ADA Title II compliance. ADA experts in the City Attorney’s Office will provide legal support to this position and program. February 23-27- Don’t Miss Out on Special Diversity Week Events!